For some, the idea of sand between their toes sounds more like sandpaper on a chalkboard than tranquility under the sun. Not everyone likes the beach! These destinations are a fantastic alternative to traditional beach vacations, with history, culture, outdoor adventures and resorts with pools where you can still cool off. And if you decide you want the beach, it’ll be there, too. These are our favorite destinations for families who hate the beach. Costa Rica has amazing beaches! But it also has rainforests, mountains, wildlife and thrilling adventures. 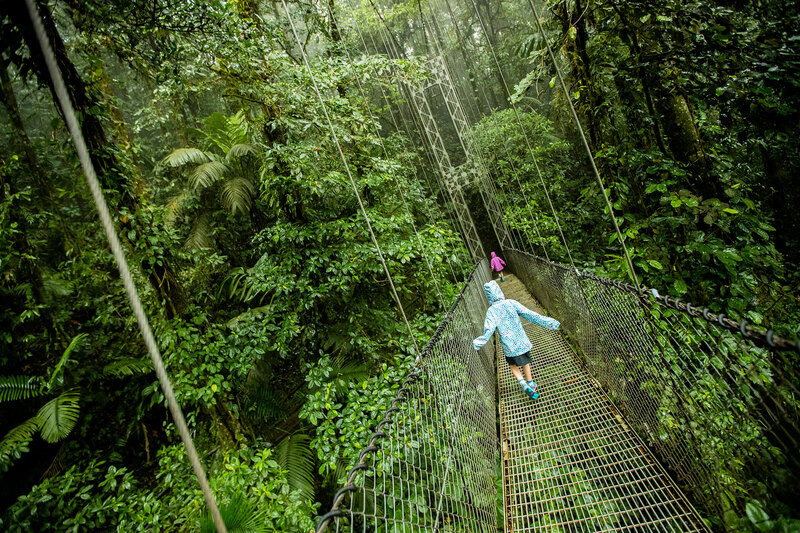 Zip-lining, hanging bridges, hiking through cloud forests, whitewater rafting and volcanos await families in Costa Rica. Be sure to go see Manual Antonio National Park. This national park features a walk through the rainforest as you spot birds, monkeys and other wildlife along the way. Situated on the Baja Peninsula of Mexico, Cabo features a gorgeous coastline along the Pacific Ocean. But that coastline actually isn’t ideal for beach visits; in fact, most of Cabo has a rocky coastline and deep water. Instead, boating is big in Cabo. Families can go fishing, snorkeling or scuba diving, or just sail down the coast and check out the iconic El Arco. Of course, Cabo offers plenty of all-inclusive resorts with pools and other non-beach fun for families. When you think of Mexico, you usually think beach. But Oaxaca City, situated in the southern Pacific side of Mexico, is an exotic, non-beach vacation families will love. Oaxaca City shows off Mexico’s authentic culture and cuisine. The colonial town features several unique places to see, like the archeological site Monte Alban and the natural infinity pools of Hierve de Aqua. Monte Alban is located about 30 minutes outside of the city and sits more than 6,000 feet above sea level. Your kids will be in amazement as the sheer size of these ruins, which can be climbed. Hierve de Aqua is a natural cold spring that sits high in a mountain. The spring has created stone, infinity pools perfect for swimming in, and there is no sand! Much like Cabo, Key West is nearly surrounded by the Atlantic Ocean, yet beaches are not the focus here. Boating, water sports, pool time and fishing are top priority instead, as are the historic homes, attractions and museums downtown. Be sure to indulge in the key lime pie! 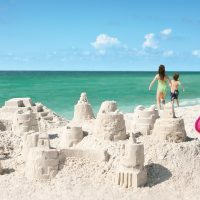 The Daytona and Space Coast area of Florida features beautiful beaches, the closest to Orlando, but families can find lots to do here that doesn’t include the grainy stuff. The Kennedy Space Center is a destination of its own. The 70-acre compound features numerous exhibits, historic spacecraft, IMAX movies and a simulated ride into space. Going to space (even if just for pretend) may be the best way to avoid going to the beach. Check the schedule and visit during a rocket launch for the optimum space experience. When you’re done looking towards the sky, head over to the Daytona International Speedway for even more speed, that stays on the ground. Families arrive at the San Juan Islands in style – by ferry or seaplane; just arriving on one of the 170 island chains is part of the adventure! Whale watching, kayaking, mountain views, wildlife, biking and tree-lined hiking trails fill the days at this non-beach destination. Summer days are long here, too, with nearly 16 hours of sunlight. This quaint New England beach town is charming enough to be about more than the sand and Atlantic Ocean. Getting to Martha’s Vineyard by ferry is always a treat for the kids. 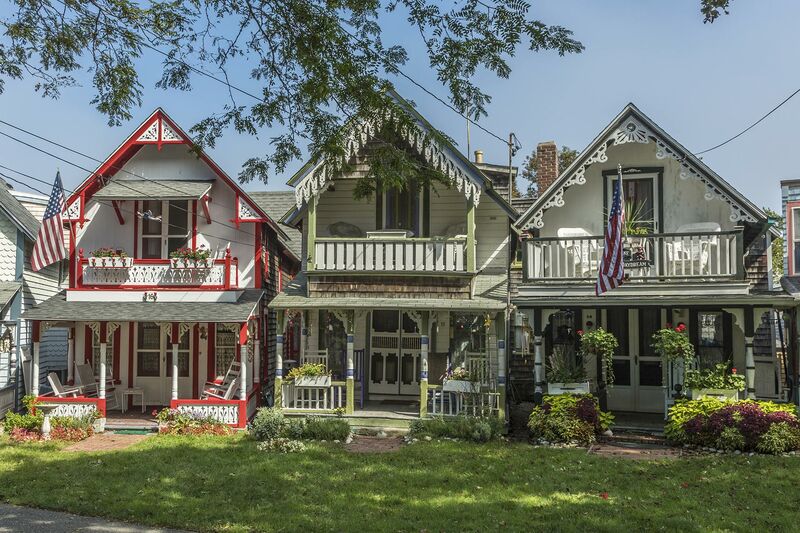 Families will love to explore the gingerbread cottages in Oak Bluffs, catch a Frisbee or have a picnic at Ocean Park, take a spin around the Flying Horse Carousel and of course, enjoy a nice cup of “chowda” at Martha’s Vineyard Chowder Company. Hawaii is known for its magnificent beaches, so of course we recommend you visit the white (or black or pink) sands and turquoise waters. But you also don’t have to spend your entire vacation at the beach during a visit to Oahu. Pearl Harbor is reason alone to visit Oahu. Teens will surely be moved as they take in the World War II history. Hiking is big here, too, as the views are breathtaking no matter where you turn. And visits to the Dole Plantation and filming locations from the Jurassic Park movie are also great ways to explore Hawaii while avoiding time in the sand. Charleston is a good beach vs. non-beach compromise because Charleston is mostly a city destination, but several beach destinations happen to be located less than 30 minutes away from the city limits. So, both beach lovers and haters win in Charleston. 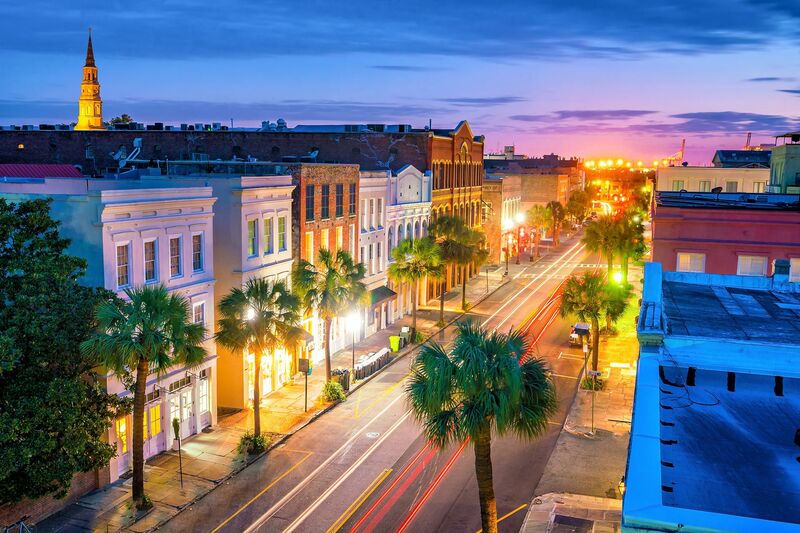 The Southern charm and appeal run deep in Charleston. Families can take a horse-drawn carriage ride through the South of Broad section of the city, where all of the historic, grand mansions are located. Stroll through the Market Square or tour a former plantation or historic church. Located off the coast of Los Angeles, Catalina Island could easily make families feel as though they’ve taken a ferry to Italy’s coast rather than California’s coast. Hiking, boating and diving are great ways to enjoy this Pacific Ocean island. Go fishing, take a boat tour in search of dolphins, or go zip-lining or rock wall climbing when visiting Catalina Island and avoiding the beach.